CannabisCouchSurfers.Com is a FREE travel exchange for those interested in Medical Marjuana. Our goal is for you to be able to stay with someone you are comfortable with. That in itself is worth more than the cost. In addition, you gain valuable local insights. & save money. PotGuide.com is the comprehensive guide to the world of marijuana. We connect cannabis consumers with service providers, showing them where to buy, where to stay, things to do — plus understanding the law. 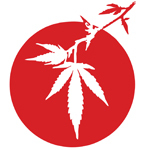 With over 300,000 visitors per month, PotGuide.com is the leading website for marijuana enthusiasts to stay connected with cannabis culture and information.